Taking vitamins everyday is important for the overall health of our body. When it comes to our natural hair, vitamins play a great role in providing thick, long and healthier looking strands of hair. Due to our busy lifestyle we sometimes fail to eat well and thus our bodies don’t get the nutrients it needs. 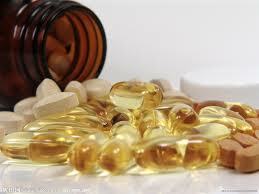 Vitamins are naturally derived from eating a number of foods OR by taking supplements. It’s a vitamin B complex. It thickens hair strands, decreases the amount of breakage in hair and improves hair growth. When taking biotin, drink a lot of water to reduce the effects of acne. Also, do not take more than the recommended dosage. Biotin rich foods include: Nuts, Carrots, Milk and Halibut. Great for the growth and maintenance of hair. Foods rich in vitamin A include Sweet potatoes, carrots, and green leafy vegetables. B vitamins include vitamins B, B6, and B12. They prevent hair loss. B12 is mainly found in meats and eggs. Prevents hair loss because it act as an anti-oxidant. Foods rich in vitamins C include: citrus fruits such as Oranges, lime, lemons and grapefruit. Improves the blood circulation on the scalp which promotes hair growth. One tip is to massage vitamin E oil onto the scalp and eat vitamin E rich foods such as mustard greens, swiss chard, spinach, tropical fruits, red bell peppers and nuts. You can get all these vitamins in supplement form at any drugstore and online. Consult with your doctor before taking any supplements incase of allergies and also not to interfere with any medication you might be taking. Take only the recommended amount. Have vitamins made an improvement in your hair? Let me know in the comments below.